1. 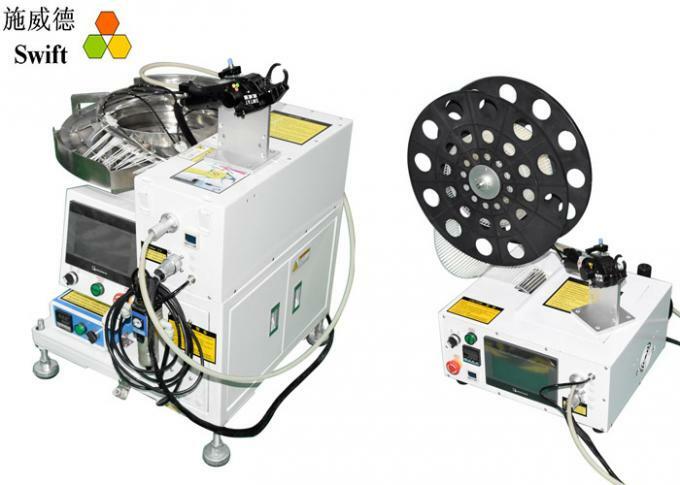 Automatic Nylon Cable Tie machine and its supporting equipments. 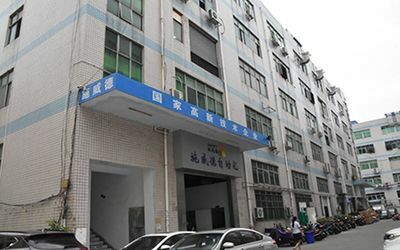 We have a very strong design team, most of the engineers graduated from the renowned military institution, such as HIT,Beijing Institute of Technology, Shenyang Aerospace University, worked as weapon designer for many years, and got trained and worked in Switzerland, Germany, Austria, and Czech Republicas for auomation design for years; Served as senior engineer and senior engineering manager in a number of large multinational enterprises (Vitech, Microsoft, Foxconn, Flextronics, TE, Whirlpool, etc.). 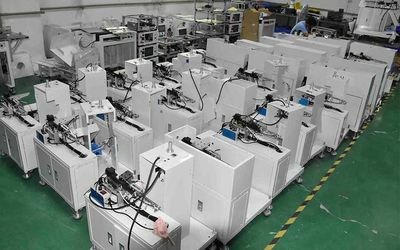 Most of our assembly engineers come from丿apanese automation companies. 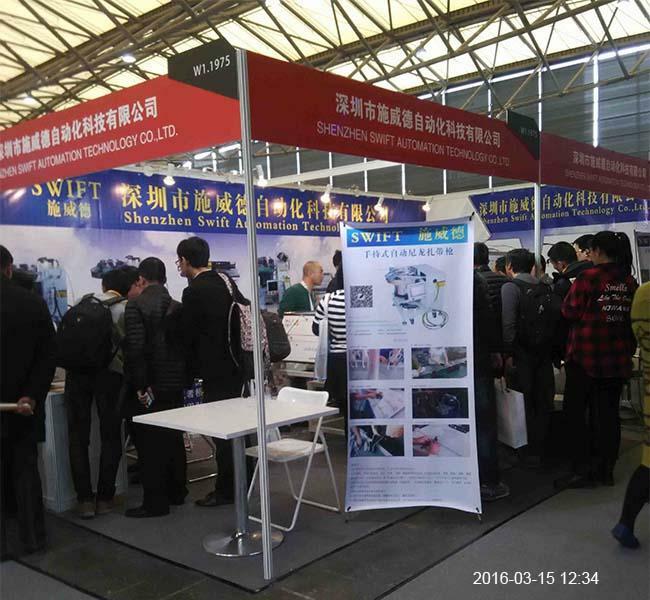 Obtained European design conception and skill, with Japanese quality sense to control the manufacturing process, we can provide you the best technical solution and reliable product quality. 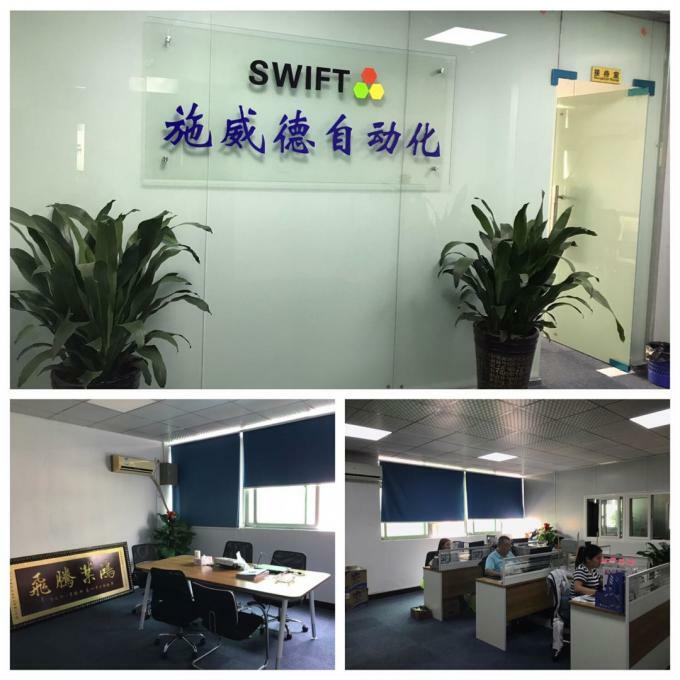 SWIFT--- will be becoming the world's top brand of nylon cable tie and the tools maker, with more than 30 inventions patents as well as multiple software Copyrights. 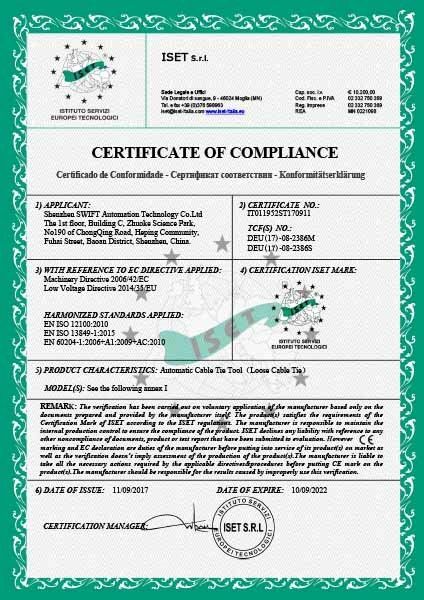 Not only in dominant position in China market, our products have been sold to more than 30 countries and regions (such as United States, Netherlands, Mexico, Japan, South Korea, Turkey, Romania, Italy ... highly developed countries}, with nearly 300 customers in worldwide. Our target: Internationalization, branding, specialization . 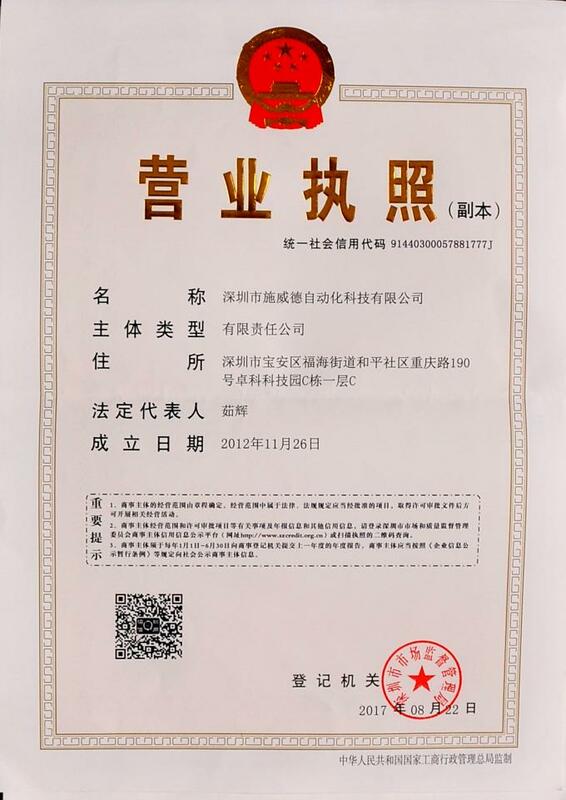 In July 25th,2017, SWIFT applied and got the patent of auto cable tie tool. 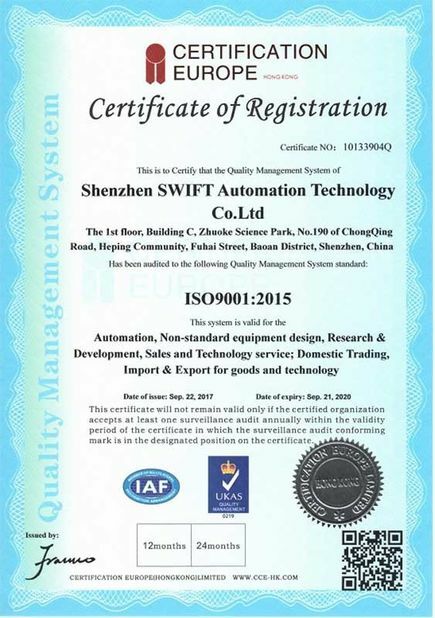 In Sep 22th, 2017, SWIFT passed ISO9001;2015. On Sep 2018, we moved to a new office and our website was built. 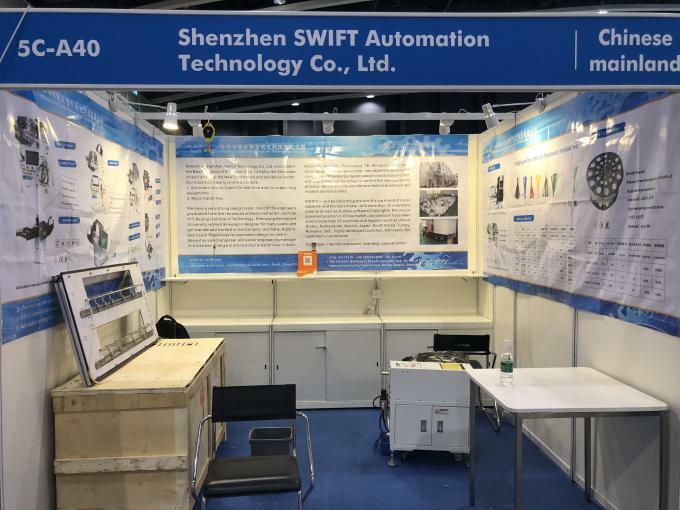 On 2018, HKTDC Hong Kong Electronics Fair, Booth 5C-A40. Handheld cable tie gun (Patented). Fixing type cable tie machine (Patented). Automatic cable tie machine for small room (Patented). 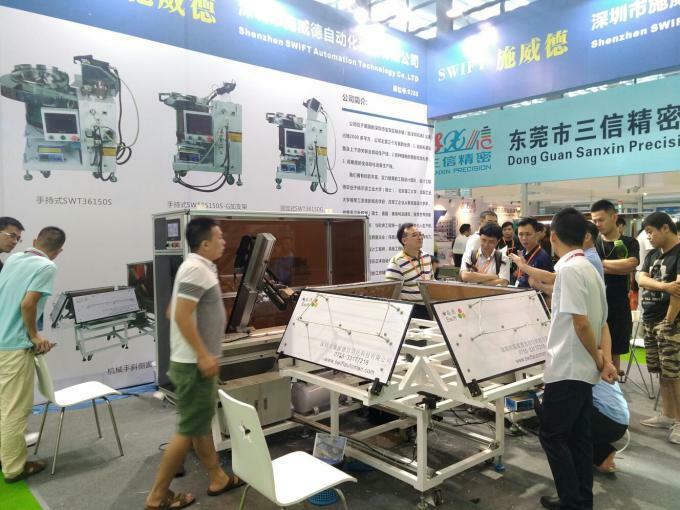 Robot for full automatic cable tie binding process. Loose cable ties for tool use. Reel cable ties for tool use. General cable ties for manual use. 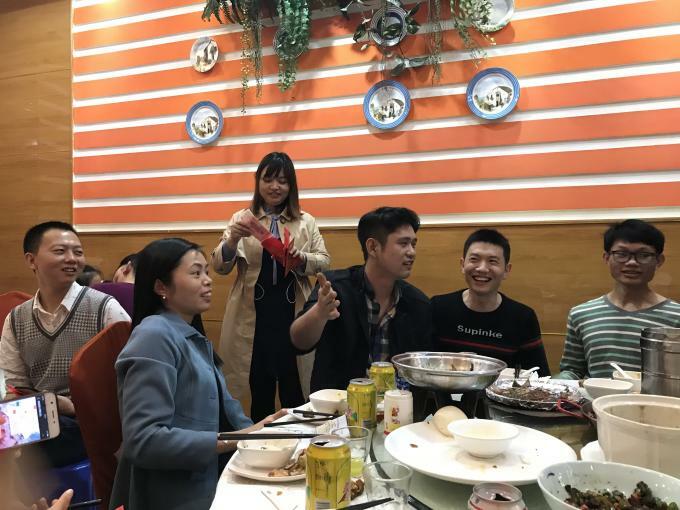 We have a very strong design team, most of the engineers graduated from the renowned military institution, such as HIT,Beijing Institute of Technology, Shenyang Aerospace University. 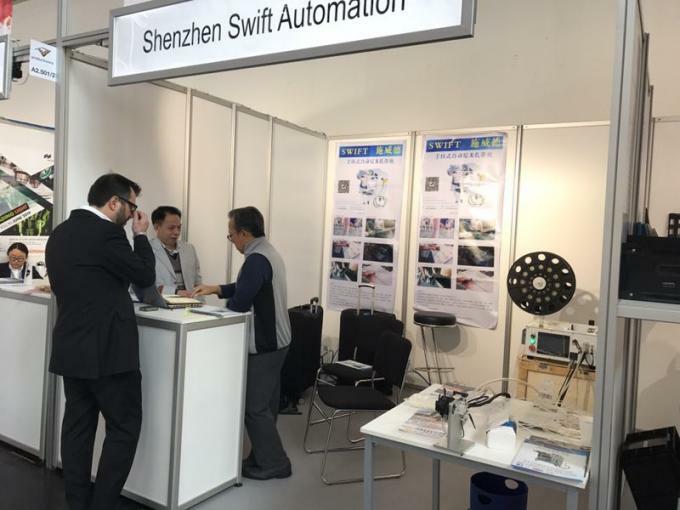 SWIFT has offered lots of solutions to help more than 300 customers, such as SUMITOMO, DELPHI, molex, DENSO, HAYAKAWA, FOXCON, AUX, Midea and GREE so on. 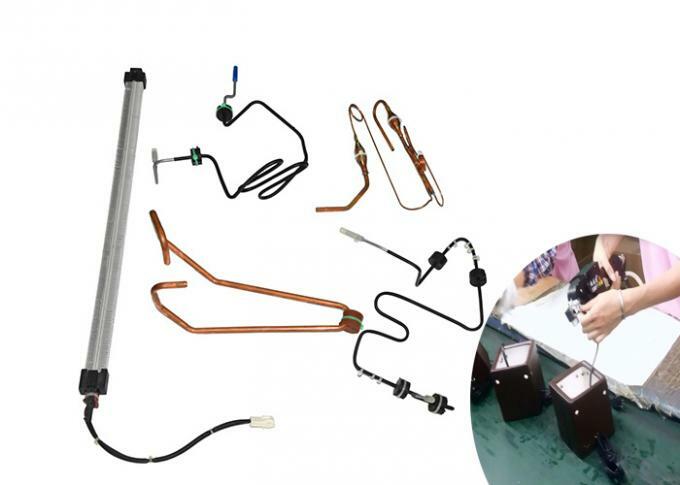 Be used for wire harness bundling of all kinds of white goods.Various types of automatic nylon cable ties tools can help you to same time and labor cost. 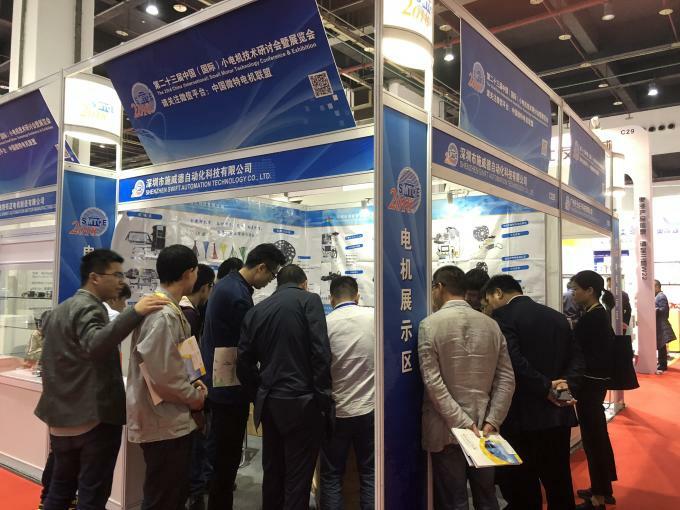 GREE, AUX, Hisense-Hitachi, Midea and other well-known home appliance companies are our customers. 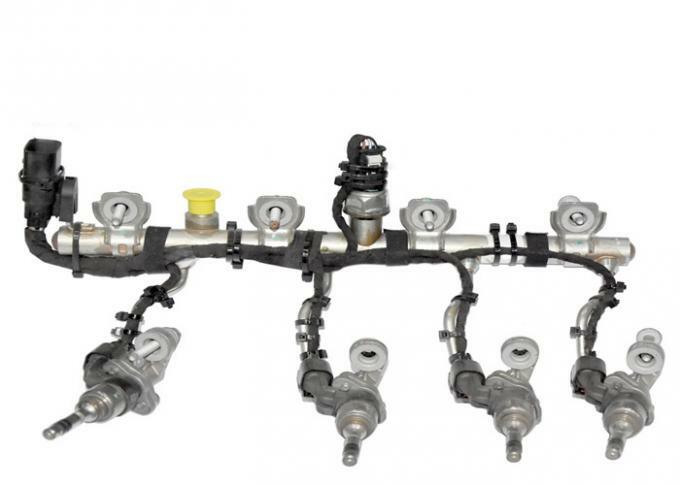 The wire harness industry is one of the most important front-end processes in the manufacturing industry. The bundle of wire harnesses is inseparable from the nylon cable ties. It was originally manual, time-consuming, labor-intensive and inefficient. 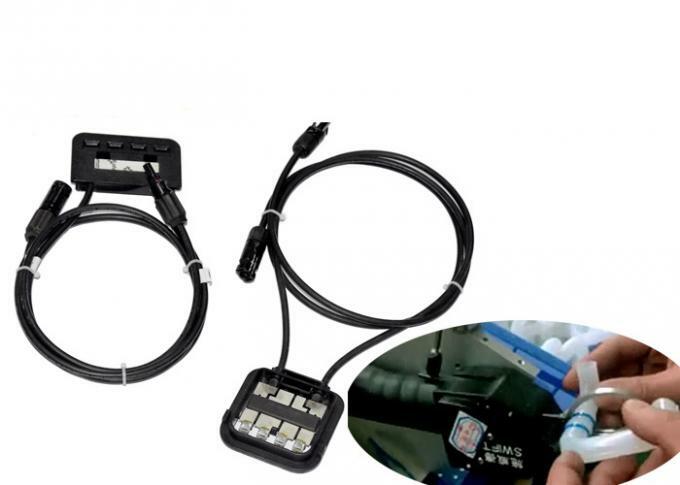 Swift’s automatic nylon cable ties tool is tailor-made for it. One machine can save 5-6 operators. Sumitomo,Hayakawa, Elematec Corporation, Chiyoda… etc. 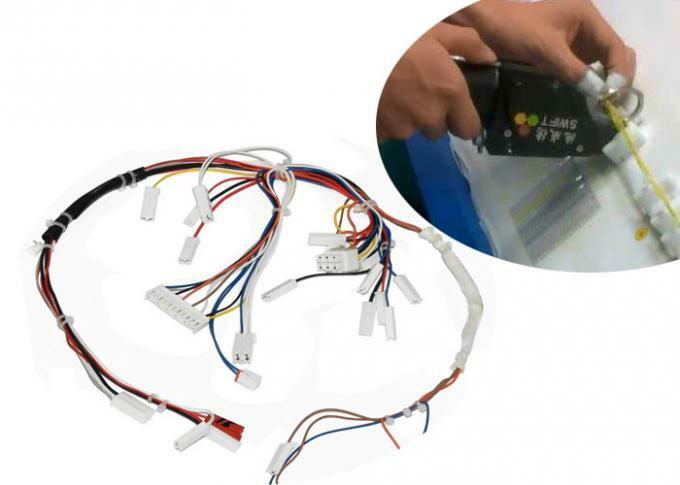 The automotive industry cannot do without the strapping of nylon cable ties. Neither the tubing,nor the engine. Typical customers such as: Delphi and Continental Electronics. The motor is as small as a fan, as large as an aero engine, and it is inseparable from nylon straps. 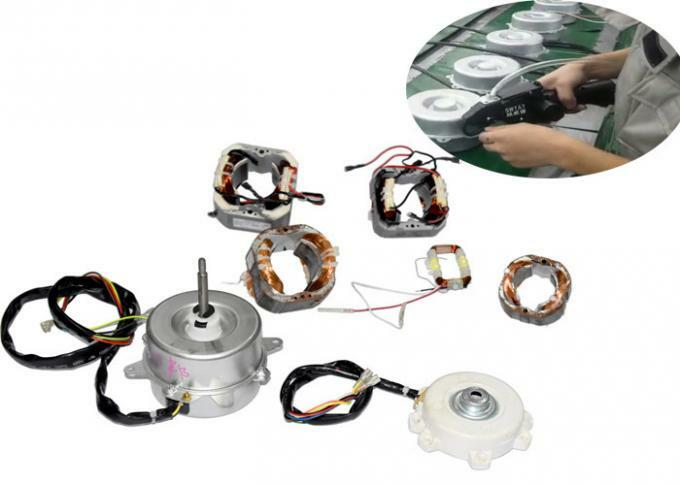 The lead wires on the motor are usually equipped with PVC pipes, which require a large tightening force. The manual operation of the employees is more laborious. The Swift’s nylon cable ties tool is definitely your best choice. Typical customers such as: Jeamo, Baxter, Welling, etc. The food industry pays attention to safety, environmental protection and hygiene. In the past, many iron core wires were used to bundle items. Now it is changed, they are using the nylon cable ties to bundle. 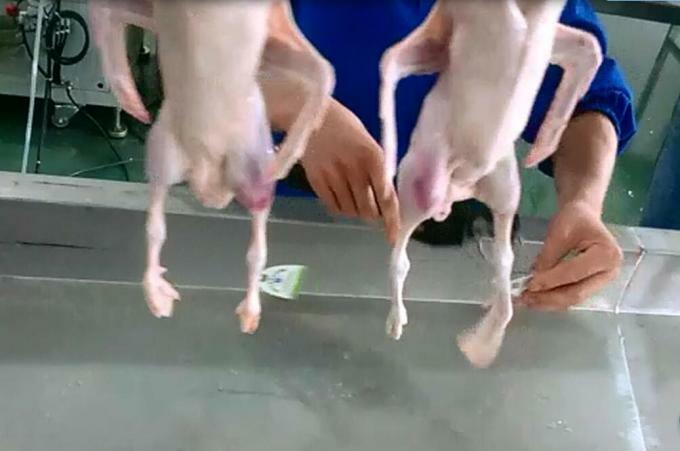 Typical applications include QR code labels for chicken legs (and crabs, hairy crabs, etc. ), gift bag closures, mushrooms & liquid packaging, fishing nets….etc. 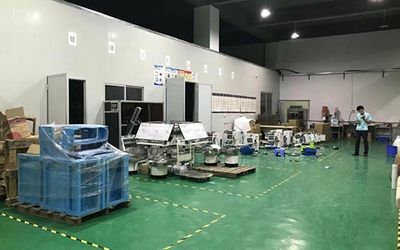 Such as LED, decorations, photovoltaic, wooden furniture, medical, health care equipment, large cabinets (elevators, transformer rooms, large control cabinets)... 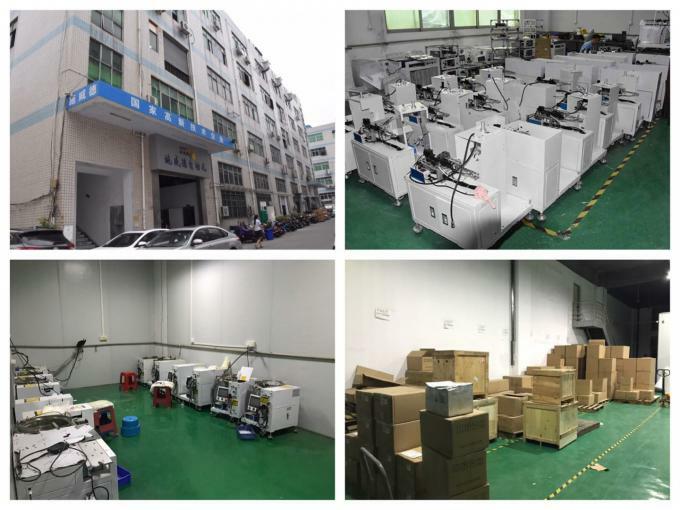 Typical customers are LEOTEK Group, MK Illumination, YUWELL, ROTAI, TONGLIN Group and many other well-known enterprises. 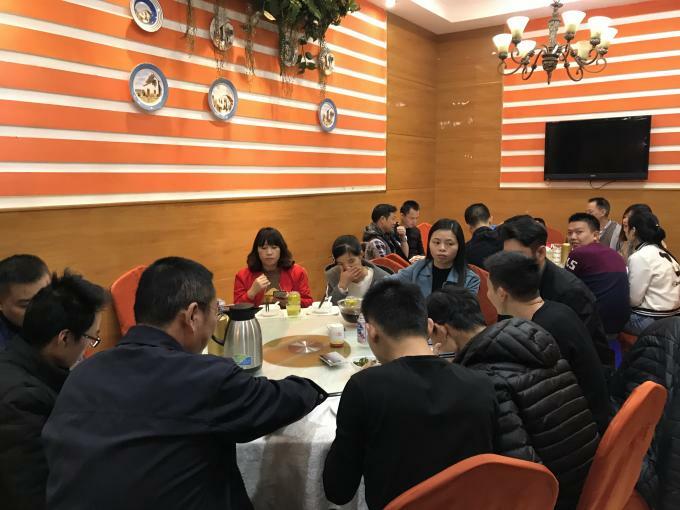 The family diner in our company before Chinese New Year's Eve.